FPWR is pleased to offer Prader Willi Syndrome research webinars throughout the year to present you with the latest in Prader Willi Syndrome research! A review of recent initiatives funded through FPWR. 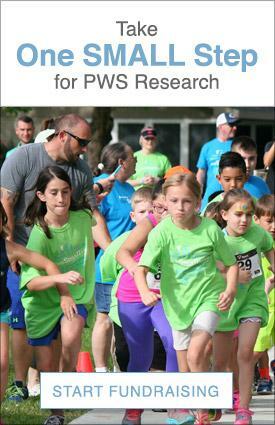 Includes an overview of newly funded studies, new opportunities and advances in PWS research. Watch Webinar. Ten outstanding projects were selected for funding, totaling $870,000 in support. These projects address a variety of topics important in PWS, including mental health, behavior, diet, hypotonia, drug development and genetic therapy via maternal chromosome activation. Information on these projects and our Research Grants Program can be viewed on our most recent Research Program Webinar. Learn more about clinical trial participation opportunities. This webinar will spotlight Rm-493: a phase II study. An overview of the trial will be given by Rhythm and will include the study design and purpose, inclusion criteria and logistics and learn about study logistics from Dr. Jennifer Miller the principal investigator at University of Florida, one of the Rhythm study sites. Learn more about clinical trial participation opportunities. This first webinar in our clinical trial series will spotlight bestPWS: a phase III study of Beloranib. An overview of the bestPWS trial will be given by Zafgen and will include the study design and purpose, inclusion criteria and logistics. Hear directly from a participating family about their experience, and learn about study logistics from Elizabeth Roof who is coordinating the study at Vanderbilt University, one of the Beloranib study sites. A summary of over 700 responses from the PWS community weighing in on our greatest challenges. A review of the initiatives funded through the FPWR and One SMALL Step programs. Includes an overview of newly funded studies, and new opportunities and advances in PWS research. 2014 promises to be an exciting year for PWS research as new clinical trials get off the ground. Several new studies around the country will be evaluating potential therapies in children and adults with PWS. In this webinar, Theresa Strong Ph.D and Jennifer Miller MD. take you through the clinical trial process. You will learn more about the goals of clinical trials, what you should expect and the questions you should be asking. A review of the initiatives funded through the FPWR and One SMALL Step programs. Includes an overview of newly funded studies, outcomes from previously funded projects as well as new opportunities and advances in PWS research.